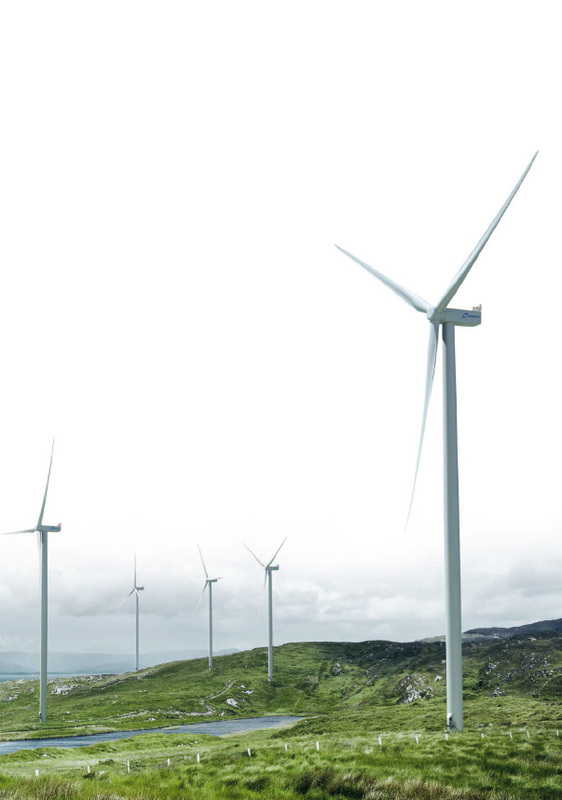 As developers and manufacturers of wind turbines, we concentrate on our core competencies. In addition to the overall technical design, our know-how also lies in the development of rotor blades with a length of up to 45 meters and in the integrated electrical and control technology for wind turbines. 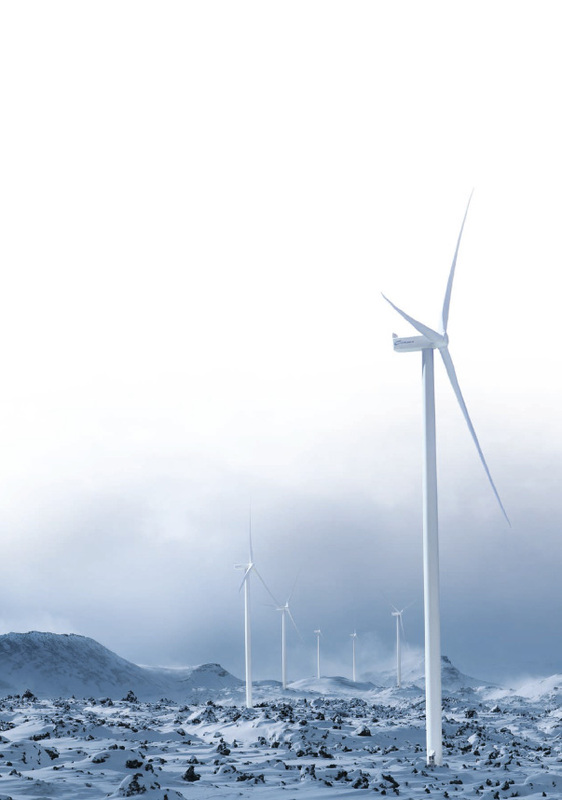 Nordex has been delivering wind turbines on its proven multi-MW platform to customers all around the world since 2000. The steady evolution of our products ensures that they remain competitive. On the basis of shared technical platform generations, our range currently comprises Generation Delta and Generation Gamma wind power systems. The average availability of all turbines covered by Nordex Service stands at 98 per cent. 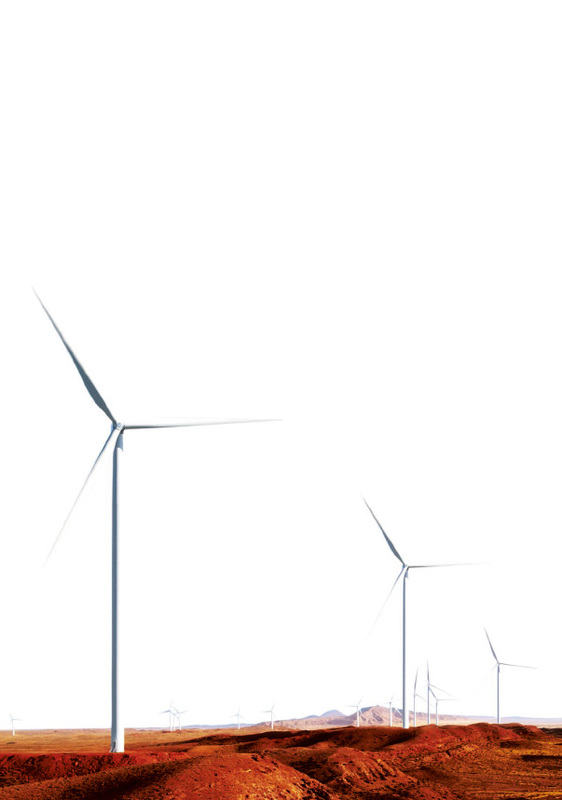 Nordex offers high-efficient turbines for all wind classes. Solution-driven innovations such as the Anti-Icing-System and a range of tower solutions expand the application area. The N131/3600 is specially designed for light-wind locations (IEC-3). With its 3.6 MW installed capacity the increase in rated output amounts to 20 percent. Despite the substantial increase in output, sound power level is limited to max. 106.4 dB(A). 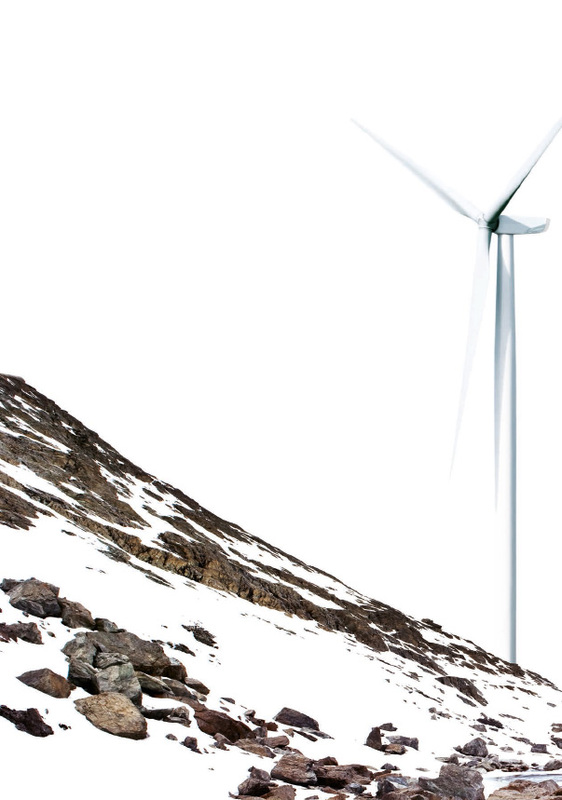 Nordex offers the turbine with serrations, which reduce the sound emissions by an additional 1.5 dB(A). The N131/3600 is available with tower heights of 84 to 112 metres, and for Scandinavia, up to 134 metres. The N131/3600 is based on Nordex’ proven turbine design of Generation Delta. With the N131/3600, Nordex customers are able to benefit from our more than 16 years of experience in the multi-megawatt segment. With a nominal output of 3.6 MW, the N131/3600 has a 20 percent greater capacity than its predecessor. It is our most efficient light wind turbine. The N131/3600 features the in-house developed own NR65.5 rotor blade with 13,478 square meters rotor sweep. Despite the substantial increase in output, sound power level is limited to max. 106.4 dB(A). What is more, Nordex offers numerous noise-optimised operating systems for particularly noise-critical locations. Thank to the improved sector-cut-out modes, an optimum yield is still achieved. The N131/3000 is specially designed for light-wind locations (IEC-3). With its 3.0 MW installed capacity the increase in rated output amounts to 25 percent. Despite the substantial increase in output, sound power level is limited to max. 104.5 dB(A). Nordex offers a much larger rotor for each wind class. This produces higher yields. With 131 metres the rotor diameter of the N131/3000 is 14 metres larger resulting in a 25.8 percent increase in swept area. The turbine is a very efficient high-yielding turbine for light-wind locations (IEC-3). The N117/3600 is designed for medium wind speeds (IEC-2) and has a 20 percent greater nominal output compared with its sister model. Yet, despite this substantial increase in output, sound power levels have remained stable at 105 dB(A). 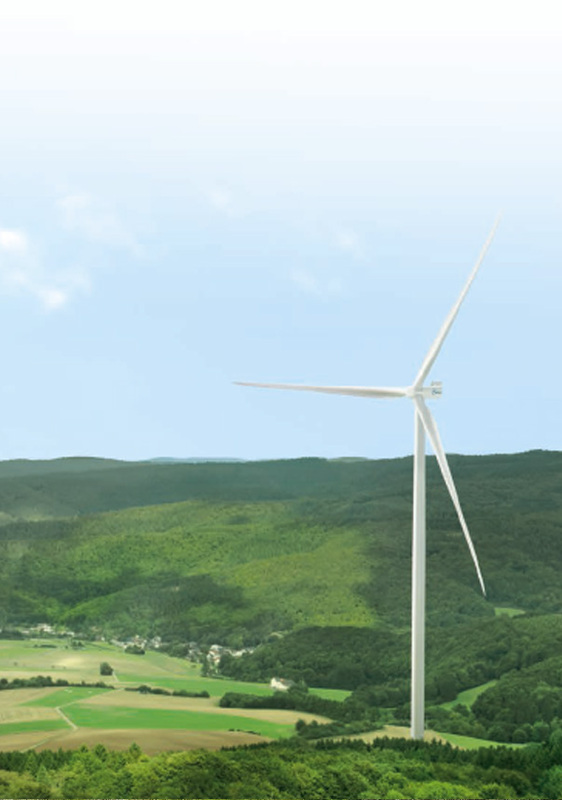 Nordex offers the turbine with serrations, which reduce the sound emissions by an additional 1.5 dB(A). Thanks to the high towers and optimised technical systems, the N117/3600 generates high yields at IEC-2 locations. With the N117/3600, Nordex customers are able to benefit from our more than 16 years of experience in the multi-megawatt segment. With a nominal output of 3.6 MW, the N117/3600 has a 20 percent greater capacity than its sister model. This results in strong additional yields in medium wind speeds. Nordex is using the proven aerodynamic design of its own NR58.5 rotor blade with carbon-fibre girders for the N117/3600. 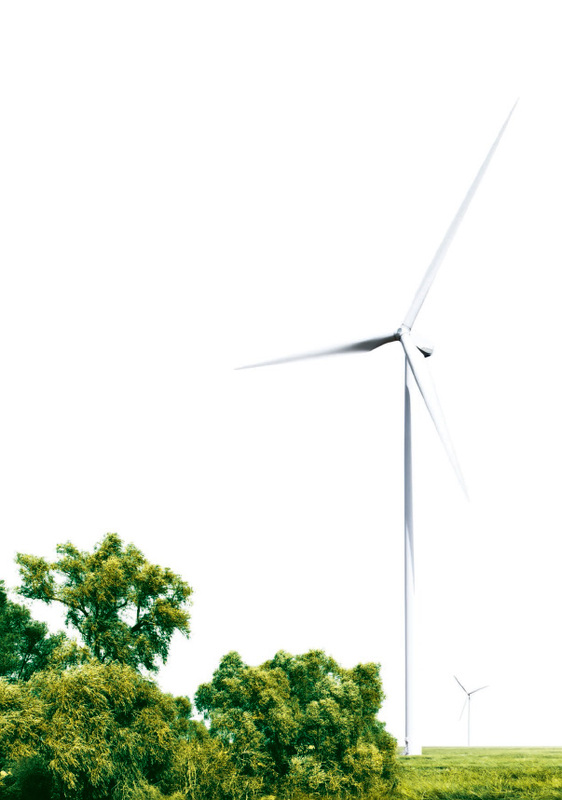 The turbine comes with taller hub heights, enabling additional gains in annual energy production and opening up complex forested sites for wind turbine installations. Thus, Nordex offers towers with a hub height of 91 up to 141 metres. Despite the substantial increase in output, sound power levels have remained stable at 105 dB(A). What is more, Nordex offers numerous noise-optimised operating systems for particularly noise-critical locations. Thank to the improved sector-cut-out modes, an optimum yield is still achieved. The N117/3000 is designed for medium wind speeds (IEC-2) and has a 20 percent greater nominal output compared with its predecessor. Yet, despite this substantial increase in output, sound power levels have remained stable. Thanks to the high towers and optimised technical systems, the N117/3000 generates high yields at IEC-2 locations. With the N117/3000, Nordex customers are able to benefit from our more than 13 years of experience in the multi-megawatt segment. The third generation of our series of multi-megawatt wind power systems, Generation Gamma, features efficient turbines for all wind classes. As the flagship of this platform generation, our N117/2400 is in a class of its own when it comes to efficiency at sites characterised by light wind speeds. End of 2013 the leading wind power publication Windpower Monthly awarded the Gold medal in its "2013 Turbines of the Year" report to the Nordex N117/2400 in the 2.1 - 3.5MW turbines segment. The N117/2400 has been specially developed for low-wind sites. Thanks to a rotor diameter of 117 meters and a rotor sweep of 10,751 square meters, the N117/2400 is the highest-yielding IEC 3 turbine in its class. In typical low-wind regions, it will achieve a capacity of over 3,500 full-load hours, thus exceeding other turbines in this category by 20 percent. This translates into a capacity factor of 40 percent. As a result, Nordex customers using the N117/2400 will be able to achieve high and steady electricity production in regions characterized by lighter winds. The acoustic power level is a maximum 105 decibels, thus allowing the turbine to be used closer to residential areas and ensuring an optimum turbine array in the wind farm. The N117/2400 has also been designed with construction height limits in mind. Thus, with a hub height of 91 meters on the standard tower, it remains below the critical threshold of 150 meters. The Nordex N100/2500 kW is a 2.5 MW wind turbine specially configured for moderate and low wind conditions. The N100/2500 is on of the largest turbines in the Nordex product line and its yield rates among the highest in its power class. With a rotor sweep of 7,854 square metres, this IEC-2- and IEC-3-certified turbine operates particularly profitably in medium and low-wind regimes. As an all-round turbine in the 2.5 MW product line, the N90/2500 can be deployed at strong-wind sites and medium-wind locations. With different tower heights, it covers wind classes IEC 1 and IEC 2. Nordex also offers it with the option of a frequency of 50 or 60 hertz. With our decentralised Nordex Service organisation, we can reach any turbine quickly. You can also request individual services from our range independently of the Nordex Service contracts. Here’s an overview of our service range. Regular and preventive maintenance in accordance with the applicable regulations will ensure high availability of your Nordex wind turbines throughout their entire lifecycle. By working closely with the technical department together with constant consultation via remote monitoring, Nordex service technicians have real time up-to- the-minute information they require. In this way, they are able to reduce downtimes and address disruptions before they cause complicated and extensive damage. Malfunctions of a WTG’s systems must be remedied quickly and reliably. Only Nordex Service know your wind turbine down to the very last detail and has access to extensive data on the specific model. In this respect, it is not only Nordex’s experience as a manufacturer of wind turbines which plays a role but also the spare parts used. This is because Nordex Service use solely tested and proven parts, thus preventing recurring problems and avoiding any compromises to safety. Modernising your Nordex wind turbine will boost yields and extend its service life. An all-round modernisation brings the main components up to the standard of the current turbine generation. A Nordex Service project manager will agree with you upon a tailor-made solution and assist you during the entire modernisation process. The Nordex Technical Improvement Programme (TIP) offers standardised packages for technical modifications and enhancements, resulting in improvements in the safety, reliability and the efficiency of your Nordex wind power systems. Installation requires only a small amount of planning and can be executed on site by our Nordex Service technicians. The condition monitoring system automatically tracks the condition of components subject to wear and tear in order to additionally enhance the technical availability of Nordex wind turbines. The data collected is evaluated by experienced engineers, who will report to you on the condition of your system. If actual data deviates from the required condition, preventive service is planned to avert any damage, thus substantially reducing downtimes, wear and damage and boosting reliability. Nordex Service offer your staff a comprehensive modular training programme, covering a wide range of business-related and technical subjects. Training is performed by our Nordex Academy at our own training facilities fitted out with modern equipment. Our remote monitoring systems keep an eye on your Nordex wind power systems round the clock 365 days a year. Any disruptions are remedied remotely or, if necessary, our Nordex Service technicians will be sent out to carry out on-site repairs. Moreover, our experienced engineers support the remote monitoring by analysing the data and working out technical solutions. In this way, it is possible to find a swift and comprehensive solution for even complex technical questions. Our customers’ requirements vary according to the level of service complexity and protection from expected risks. The Nordex Service contracts offer variable package solutions to meet these requirements. Nordex customers requiring a high degree of flexibility but not willing to compromise operating reliability and the long service life of their wind turbines opt for Nordex Basic Service. Regular maintenance ensures availability throughout the entire service life. The 24-hour remote monitoring included in the Nordex Basic Service alerts you to any deviations in the operating parameters selected, thus avoiding unnecessary downtimes and repairs. Optional elements such as the condition monitoring system and regular inspection of the safety fittings of the wind power system additionally enhance safety and availability. Nordex customers seeking greater investment protection and transparency select the Nordex Extended Service, which enhances the Nordex Basic Service package by adding an availability guarantee and a regular reporting. A large part of the investment risk is transferred to Nordex while simultaneously enhancing transparency. Maximised investment protection and reliable cost budgeting are key concerns for Nordex customers opting for the Nordex Premium Service. Two main aspects form the basis of this effective protection against risk. Firstly, all maintenance, repair and spare part costs are covered by the regular payment of a fixed fee. The second aspect is the enhanced investment protection in the form of an availability guarantee. In this way, a strong partnership is possible.